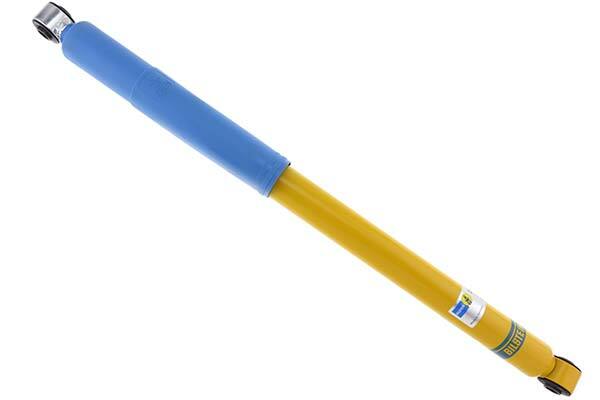 Bilstein B6 4600 Steering Stabilizers - Steering Damper - FREE SHIPPING! No matter whether you drive an SUV, an off-road truck or a street-bound cruiser, Bilstein B6 4600 Steering Stabilizers are the key to getting that old, smooth ride-quality back. These high-pressure, gas monotube replacement stabilizers feature thick welds and an extruded metal body, and are great for both on- and off-road utilization. With 360 psi to their name, they’re guaranteed to prevent harmful aeration, and boast the most dampening power to keep the driver in control, whether driving on the highway or towing heavy cargo. Your Bilstein B6 4600 Steering Stabilizers are made in the USA, German TÜV-certified, and carry a limited lifetime warranty. Reference # 753-511-393 © 2000-2019 AutoAnything, Inc.